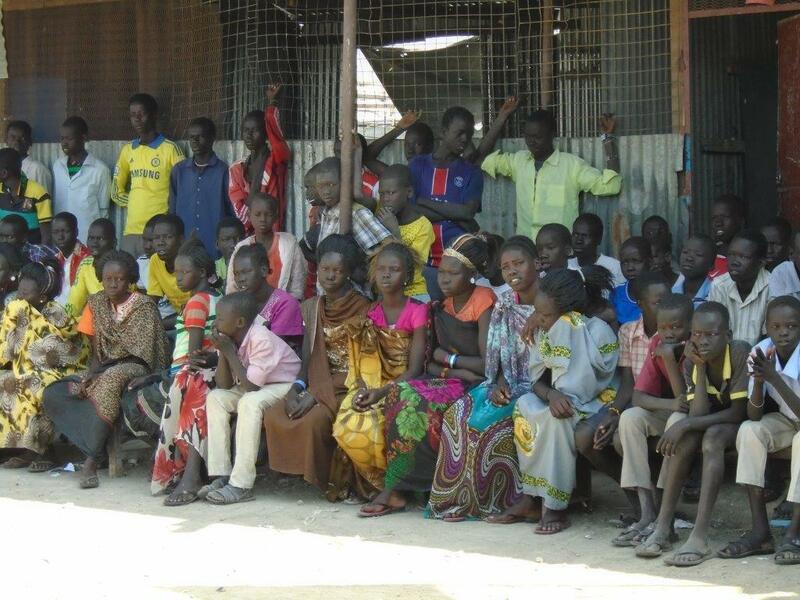 Malakal, a town in Upper Nile State in South Sudan, has been negatively impacted by years of conflict: 36% of schools are not functional and 15,300 children are out of school. In schools that are operational, enrolment has dropped significantly due to low teacher capacity and overcrowding. Dropout and low attendance are particularly common among girls, with marriage and pregnancy reported as the principal causes. In primary schools, 64% of boys are currently enrolled, compared to only 36% of girls. War Child Canada’s assessment found that barriers for girls to enrol and stay in school include household responsibilities, early marriage and financial constraints. Furthermore, girls are highly vulnerable to sexual assault while carrying out the most basic acts of survival, including going to and from school. At least 50% of target beneficiaries for this project will be girls. 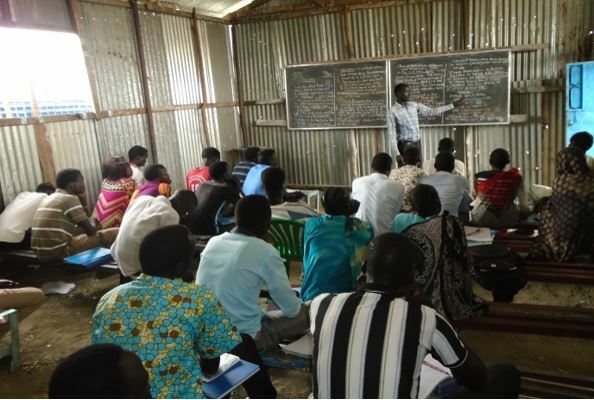 War Child Canada (WCC) has been implementing education and peace-building programming in South Sudan since 2012, and is the sole provider of secondary education for IDPs and returnees in Malakal. WCC is implementing secondary education, primary accelerated learning program, early childhood development and functional literacy and numeracy programming for children and youth in Malakal. Through this experience, WCC has learned that the quality of education is improved when students have access to varied content for different learning styles and opportunities for self-directed learning. Out-of-school girls require flexible schedules for learning and provision of childcare to allow young mothers to participate. The $100,000 grant from 60 million girls to War Child is designed to promote sustainability by developing the ability of local teachers, community volunteers and partner staff (Upper Nile Youth Development Association – UNYDA) to incorporate digital technology into their lesson plans and pedagogical approach, while leveraging existing relationships with Ministries of Education to integrate the Mobile Learning Lab (MLL) into education programs. The MLL will be handed over to UNYDA or host schools, as deemed appropriate, to continue programming once the project ends. This MLL project will improve access to quality education for girls in South Sudan, where 76% of girls are out of school and the literacy rate is only 36%. The project will be integrated into WCC’s existing primary and secondary education programs in Malakal, Upper Nile. This innovative approach will increase quality of education, foster self-directed learning, improve critical thinking and enhance the supportive learning environment for girls. The project will work to address some of the barriers to girls’ education by incorporating weekly MLL classes (complementary to the curriculum) into WCC’s education programs, targeting a minimum of 50% girls, as well as providing classes to 200 girls who are out of school. In addition, boys and girls will learn from stories and games that feature females in a variety of professions and roles, promoting the value of girls’ education. Librarians will train approximately 100 teachers, 16 community volunteers, and 2 local partner staff on how to operate the MLLs, use the solar chargers, and facilitate self-directed learning activities. They will also facilitate 40 MLL classes per week, across approximately 6 centres, reaching 1,600 children (with a minimum of 50% who are girls) per week. Learners will be paired up for MLL classes, sharing one tablet between each pair. With the help of trained teachers and volunteers, librarians will run after-school MLL classes for 300 out-of-school girls, who will be selected in consultation with community leaders and school administrators. Why partner with War Child Canada? This will be the second time that 60 million girls Foundation will partner with War Child Canada. War Child believes, as do we, that educated, empowered girls can transform families, communities and countries. With this second partnership with the Foundation, War Child Canada hopes to enhance the impact of its current education programming with a particular emphasis on girls. The MLL project will increase gender equality in educational opportunities, as well as strengthen the learning environment and outcomes of the students.